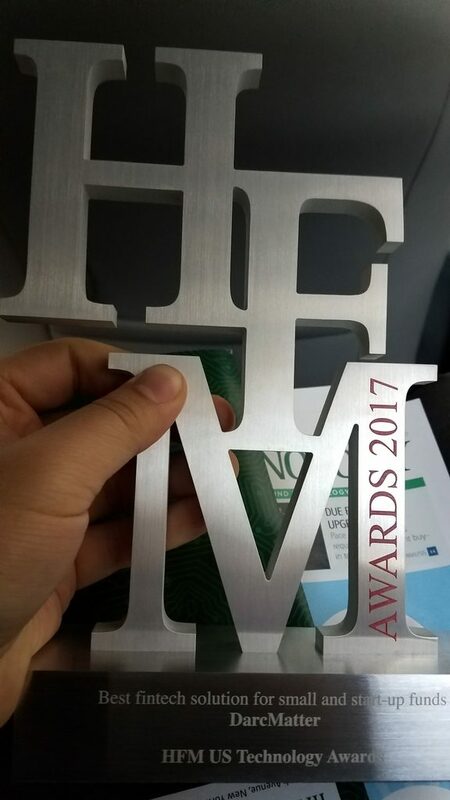 On February 13th, 2017, DarcMatter, a global investment platform for alternative investments, won the “Best Fintech Solution for Small & Startup Funds” Award at the HFM U.S. 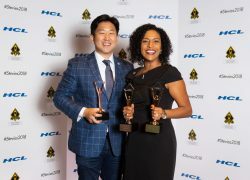 Hedge Fund Technology Awards. The 2017 U.S. HFM Technology Awards recognizes and rewards software providers serving the hedge fund sector that have demonstrated exceptional customer service and innovative product development. 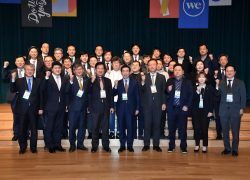 Focused on providing a technology platform for hedge fund managers to transparently and directly access LPs for a more streamlined and efficient capital raise, DarcMatter was selected as the winner by a panel of judges. Headquartered in New York, DarcMatter works with high-net-worth-individuals, financial advisors, RIAs, family offices, and institutional investors in the United States. Limited partners use the DarcMatter platform to access pre-vetted alternative investments, evaluate fund information online, and to manage and track their portfolio selections using a single dashboard. DarcMatter is also quickly expanding in Asia, recently launching two satellite offices in Shanghai, China and Seoul, South Korea. 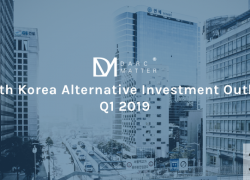 Given the thriving fintech environment, coupled with the fast adoption and use of advanced technology by consumers, DarcMatter is forging relationships with the right partners as institutional investors, family offices, and wealth managers are increasingly looking to invest in alternative investments abroad. Most recently DarcMatter was recognized as the “Best Growth Stage Startup” at Next Money Hong Kong 2017, Asia’s largest fintech conference. Hedge fund managers who are fundraising are using DarcMatter’s technology tool to expand its outreach to prospective LPs. Managers can learn more about how they can work with DarcMatter by visiting their website at http://www.DarcMatter.com.